The Salt Lake County mayor's victim statement alleges former campaign manager Justin Miller stole more than $79,000. 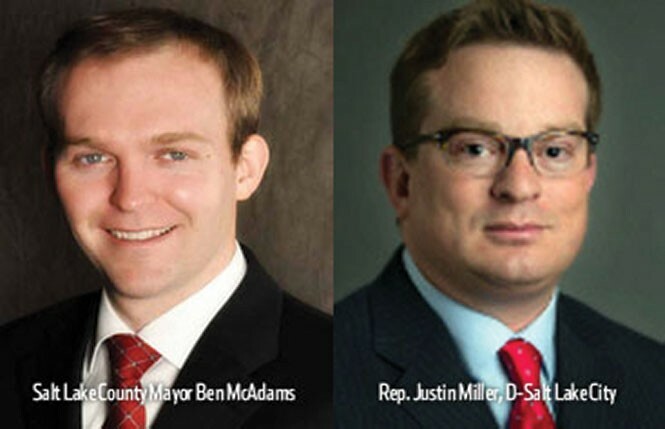 Salt Lake County Mayor Ben McAdams claims that the alleged theft by former Rep. Justin Miller, D-Salt Lake City—who served as his campaign manager and high-ranking county employee—may be worse than what was originally charged in his criminal case. According to a victim-impact statement submitted by the McAdams for Salt Lake County Mayor campaign to the court, the McAdams campaign alleges that Miller actually embezzled $79,839.85—far greater than the previously reported $25,000. This is based on an investigation by the forensic accounting firm Norman, Townsend & Johnson, which was hired by the campaign. In May 2015, City Weekly published stories and an audio recording between McAdams, Miller and political consultant Donald Dunn in which the mayor accused Miller of embezzling $25,000 of campaign funds when Miller worked as the mayor's campaign manager and later as associate deputy mayor. 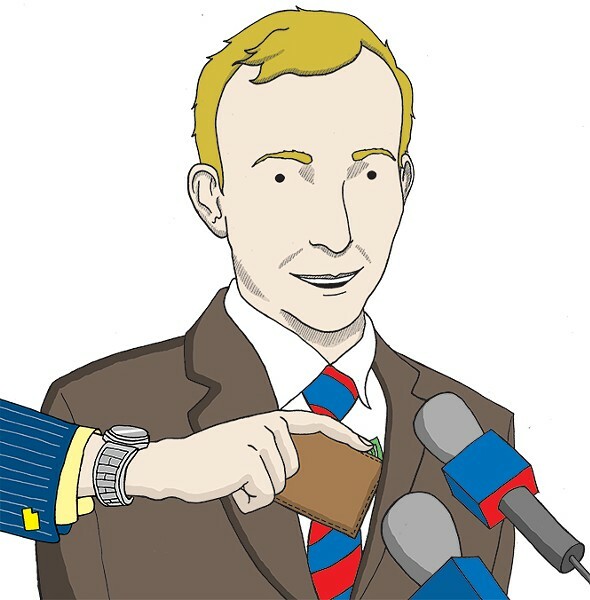 Miller would later launch his own counteraccusations against the mayor, claiming that McAdams had inappropriately awarded county contracts to supporters. Those accusations were later dismissed, and FBI spokesman Todd Palmer said in November that the agency had found "no evidence of wrongdoing" by McAdams. Miller, on the other hand, was charged with a second-degree felony for obtaining money under fraudulent pretenses. On Oct. 9, Miller pleaded guilty to one count of communications fraud. He then resigned his seat in the Legislature. "Miller's criminal misconduct, willful misrepresentations and other deliberate misconduct during the time period from April 2013 through November 2014 resulted in direct financial losses in the amount of $79,839.85," says the campaign's statement, written by campaign treasurer Julie McAdams, the mayor's spouse. The campaign's investigation claims that Miller made dozens of fraudulent charges. For example, he allegedly reimbursed himself $1,029 for a payment to Diamond Rental. The campaign says that payment was never made. In another instance, Miller allegedly reimbursed himself $3,300 for a voter contact database, but he was reimbursed for it twice, once from the campaign account and also from a political action committee that supported McAdams, where Miller also served as chief financial officer. "Considering every reasonable offset or credit in Mr. Miller's favor," the statement continues, "including Mr. Miller's partial repayment of $9,600, the total outstanding pecuniary damages to Mayor Ben McAdams and the Ben McAdams for Salt Lake County [Mayor] campaign is approximately $57,700." Miller is scheduled to be sentenced in 3rd District Court on Dec. 18. The McAdams campaign has proposed that if he pays back $35,000 by that day, it will not seek repayment of the additional expenditures in question. However, if Miller does not repay that amount by the 18th, the campaign will ask that the judge compel the full amount. Calls to Miller for comment were not returned. When asked about the higher dollar amount alleged by the McAdams campaign, Miller's attorney, Steven Shapiro, calls the $79,839.85 number "simply outrageous. It's not supported by any of the evidence that's been presented in the handling of this case. If [the McAdams' campaign] thinks they're going to get something other than anything related to the count to which [Miller] pleaded guilty, we're going to have to handle that in a separate negotiation," Shapiro said. "We agree that [the $25,000] related to the count that he pleaded guilty to, we certainly owe restitution on that. But to the extent that they think they're going to get something else ... there has yet been any showing that he owes anything other than that," he said. Thus far, Miller has not agreed to the figures the McAdams campaign is claiming are to be repaid nor is there an agreement in place for how much restitution will be paid by the Dec. 18 deadline, says Assistant Davis County Attorney Steve Major, who is handling the case. "We're trying to get the amount worked out," says Major, "but my guess is that we'll end up just having a regular sentencing hearing [on Dec. 18], and the restitution will get set for a hearing down the road. We've made the offer that if he pays [the $35,000] by the time of sentencing, we'll reduce the charges to a third-degree felony, but I don't think that's going to happen." Major also says that one of the concerns facing the prosecution are the new sentencing guidelines established by Gov. Herbert's Commission on Criminal and Juvenile Justice and the Utah Sentencing Commission. "Under the new system," says Major, "Adult Probation & Parole looks at a case at the time of the plea ... and they've decided Mr. Miller is low-risk, so their recommendation is court probation with a review every six months." Major says that means Miller is unlikely to face any actual jail time. The McAdams campaign says that it's anxious to put the matter behind them, but, "given the breadth of Mr. Miller's misconduct and violation of the public trust, we believe some jail time is warranted." Reached for comment, McAdams said, "I believe Justin's actions represent a betrayal of the public trust, and embezzled funds from people who supported my campaign for Salt Lake County Mayor. Those people chose to participate in the electoral process, donating their personal funds to support my vision and my candidacy, and Justin betrayed their trust just as he did mine."